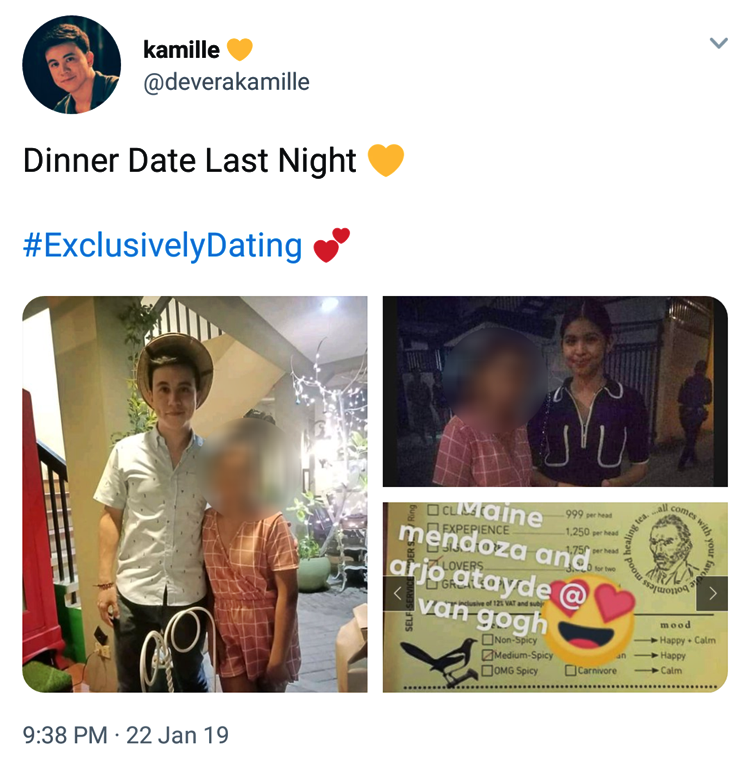 Another dinner date photo had surfaced online after a revelation from the Kapamilya star Arjo Atayde saying that he and the Kapuso star Maine Mendoza are exclusively dating. 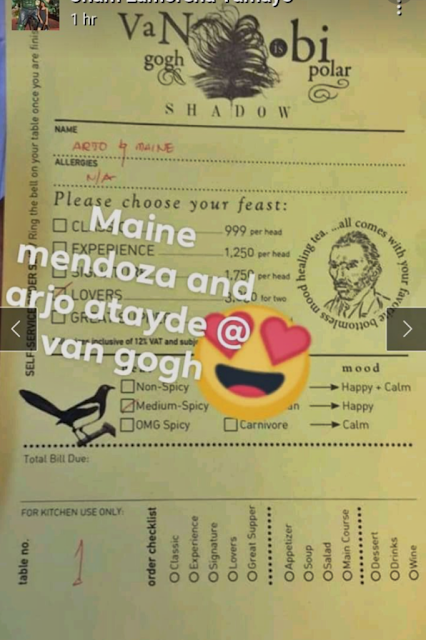 In the Twitter post shows the couple together in a dinner date at Van Gogh, choosing 'Lovers for two' that the restaurant offered. Recently, the actor finally broke his silence regarding the intrigue rumors about the real score of the two. The actor even went on to challenge the "bashers" to "do it to me in person" so he can fight back.